Since I began to eat Asian food, Sung Choi Bao has been a favourite of mine. If it was on a menu, I would order it. My whole family love this, I find my kids are so excited when I say I'm going to make this. The hardest part of this recipe is separating the lettuce leaves, I tend to buy two heads of lettuce, to make sure I can get enough 'good' leaves-ones I don't tear that is. Then I just have iceberg salad the next day with what is left. My biggest tip to separate the leaves is, I gently separate the lettuce leaf near the core, then I place the opening under running cold water, this does two things, it fills up the leaves with water which allows for easy separation and two washes the lettuce at the same time. really large leaves need to be trimmed a little, unless you like them really big. The mince mixture is super easy, and cooks very quickly. This is a really messy dish to eat, you have sauce dripping everywhere, forget table manners, this is just dig in and enjoy. This recipe I got out of a magazine years ago, could not tell you which one, as I don't know. Heat the oil in a large frying pan over medium-high heat. Add the pork and veal mince. Cook, stirring, breaking up any lumps, with a wooden spoon, for 5 minutes or until the mince changes colour. Add the garlic and ginger, cook, stirring, for 1 minute, or until fragrant. Add the water chestnuts and green shallots, cook, stirring, for 1 minute, or until combined. Stir in the oyster sauce and say sauce, cook, stirring, for 2 minutes or until well combined and heated through. Season with salt and pepper, if needed. Remove from heat. Add the bean sprouts and stir until just wilted. Transfer to a serving bowl. 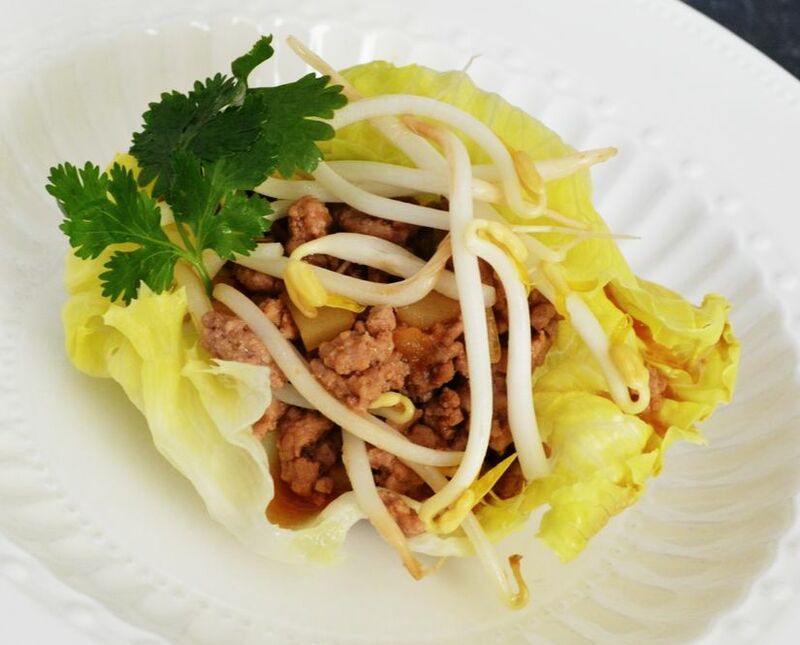 Place the lettuce leaves, cut side up, on a serving platter or on individual plates and serve immediately with the mince mixture. 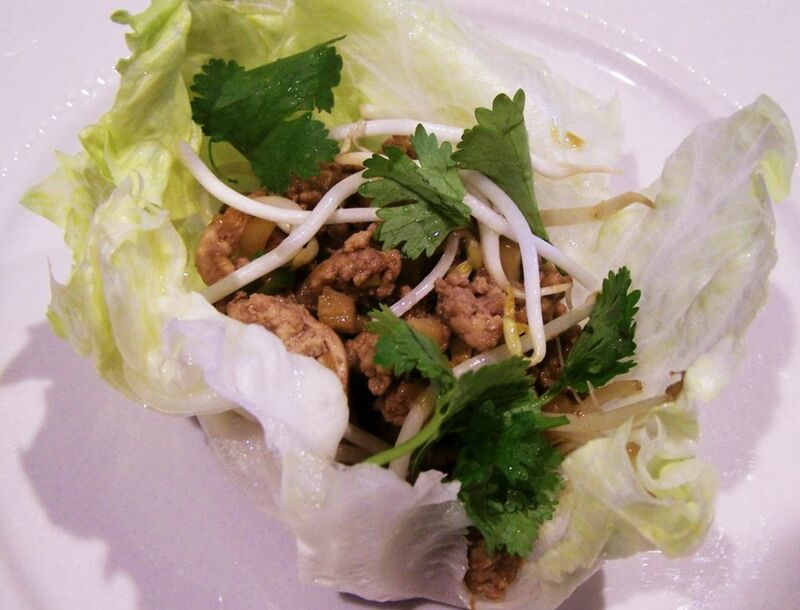 Add coriander leaves and extra bean sprouts if you like.